Hi Friends, I hope you are fine and doing great in your lives. I have another topic on embedded systems that I am going to share with you. Today, I am gonna tell you about Embedded Systems Software Development Tools. I have already told you about the hardware tools you need for developing embedded systems. You can find them in this article 6 necessary embedded tools. If you are new to Embedded Systems then you should first have a look at What is Embedded Systems? and then you must read What is Embedded Computer because these two tutorials will give a detailed overview of Embedded Systems. Moreover, if you are interested in Learning Embedded System Programming then today’s tutorial will help you in choosing the right tools among Embedded Systems Software Development Tools. I have also shared Examples of embedded systems which will also help you in getting an idea why Embedded system is so important. Before I tell you the details of these Embedded Systems Software Development Tools, let’s first take a look on what is meant by embedded software. Embedded Software is the software that controls an embedded system. All embedded systems need some software for their functioning. Embedded software or program is loaded in the microcontroller which then takes care of all the operations that are running. For developing this software, a number of different tools are needed which I will discuss further. These tools include editor, compiler, assembler and debugger. Let’s have a look on them. The first tool you need for Embedded Systems Software Development Tools is text editor. This is where you write the code for your embedded system. The code is written in some programming language. Most commonly used language is C or C++. The code written in editor is also referred to source code. The second among Embedded Systems Software Development Tools is a compiler. A compiler is used when you are done with the editing part and made a source code. The function of compiler is to convert the source code in to object code. Object code is understandable by computer as it in low level programming language. So we can say that a compiler is used to convert a high level language code in to low level programming language. The third and an important one among Embedded Systems Software Development Tools is an assembler. The function of an assembler is to convert a code written in assembly language into machine language. All the mnemonics and data is converted in to op codes and bits by an assembler. We all know that our computer understands binary and it works on 0 or 1, so it is important to convert the code into machine language. That was the basic function of an assembler, now I am going to tell you about a debugger. As the name suggests, a debugger is a tool used to debug your code. It is important to test whether the code you have written is free from errors or not. So, a debugger is used for this testing. Debugger goes through the whole code and tests it for errors and bugs. It tests your code for different types of errors for example a run time error or a syntax error and notifies you wherever it occurs. The line number or location of error is shown by debugger so you can go ahead and rectify it. So from the function, you can see how important tool a debugger is in the list of Embedded Systems Software Development Tools. The next one in basic Embedded Systems Software Development Tools is a linker. A linker is a computer program that combines one or more object code files and library files together in to executable program. It is very common practice to write larger programs in to small parts and modules to make job easy and to use libraries in your program. All these parts must be combined into a single file for execution, so this function requires a linker. Now let’s talk about libraries. A library is a pre written program that is ready to use and provides specific functionality. For Embedded Systems Software Development Tools, libraries are very important and convenient. Library is a file written in C or C++ and can be used by different programs and users. For example, arduino microcontroller comes with a number of different libraries that you can download and use while developing your software. For instance, controlling LED or reading sensor like an encoder can be done with a library. The last one on my list is a simulator. Among all embedded software tools, simulating software is also needed. A simulator helps you to see how your code will work in real time. You can see how sensors are interacting, you can change the input values from sensors, and you can see how the components are working and how changing certain values can change parameters. These were the basic software tools required for embedded software development. When I am talking about embedded software tools, it is also important to give you an idea about IDE which is the next section of my article. An Integrated Development Environment is software that contains all the necessary tools required for embedded software development. For creating software for you embedded system, you need all of the above mentioned tools. So it is very helpful to have software that can provide all of the necessary tools from writing to testing of your code, in one package. An IDE normally consists of a code editor, compiler and a debugger. An Integrated Development Environment also provides a user interface. An example of integrated development environment is Microsoft visual studio. It is used for developing computer programs and supports different programming languages. Other examples of IDE that are common are given below. Depending on what kind of microcontroller you are using, you can choose from many different software applications. I am going to share a few of these Embedded Systems Software Development Tools here in my article. If you are working with PIC Microcontroller, than you definitely need MPLAB. 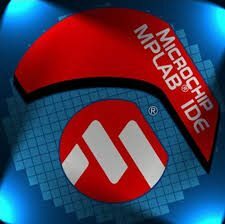 MPLAB is an integrated development environment from Microchip technology. It is a software that runs on your personal computer and is needed to create program for your pic microcontroller. It helps in editing, debugging and programming of microchip microcontroller that you use in your embedded system. The latest edition of MPLAB is MPLAB X. You can download this software free form microchip website. The first step in this design process is to choose the PIC microcontroller that meets the requirements and parameters for your system. Know all the components of your embedded system by making a rough design. Next step is to write code for your embedded software. It is your choice to write code in assembly language or some high level programming language. Now you have to make your code ready to program your microcontroller. So using compiler / assembler convert code into machine code. The fifth step is to debug your code to remover errors. Finally, upload the code in to your microcontroller. And it is ready to be used in the embedded system. Change variables in watch window etc. 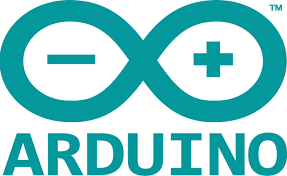 Arduino software is used if you are working with arduino microcontroller. It is also open source software just like MPLAB that runs on your personal computer. Arduino software helps you to create program for your microcontroller providing all the necessary embedded software tools. The codes that you write on arduino software are referred to as sketches and have an extension .ino. Integrated development environment of arduino is very user friendly and has a lot of features that make your job easy. For example, you can open multiple files with different extensions in one window. Now I am moving towards the next one which is Keil. 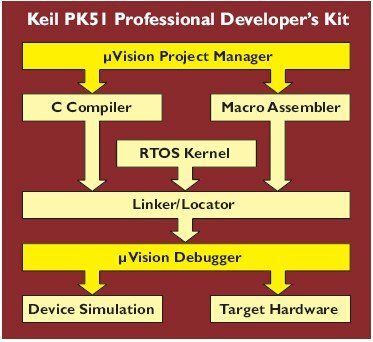 Keil is an integrated development environment for a wide range of microcontrollers including 8051, 251, ARM7, and C16x/ST10 microcontrollers. This software includes compiler, assembler, linker, debugger, simulator etc. This software is also easy to use and learn. The software for 8051 is used by professional embedded system developers and beginners both. Depending on the microcontroller, you are using you can go for the right software. Now let’s move towards the next tool that is MATLAB. 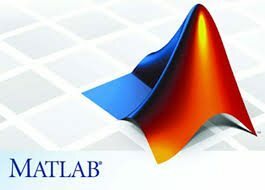 Matlab is one of the very important tools for software developers. It provides you with an environment where you can solve all of your computational problems. You can work with matrices, graphs, vectors, functions, arrays, plots etc. You can make algorithms. Also you can create user interfaces. With Matlab, you can also interface programs written in other programming languages. Matlab comes with additional software, Simulink that enables you to create simulation. It is really a helpful tool for embedded software developers, as you can work on sensors data, plot it and see response by changing certain variables. 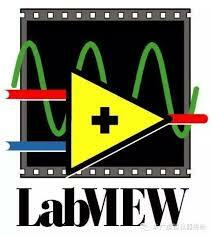 LabVIEW stands for Laboratory Virtual Instrument Engineering Workbench. This software is also used for viewing output. The main functions that can be performed using LabVIEW are data acquisition, industrial automation and instrument control. This software is basically for visual programming language. That was all about LabVIEW basics. The next on the list is PSpice. SPICE stands for Simulation Program for Integrated Circuits Emphasis, and PSpice is its version for personal computers. PSpice is simulation software that is used for simulating circuits. It helps in analyzing electronic circuitry, verifying circuit designs and predicting their behavior. It has a number of libraries for digital and analog components. 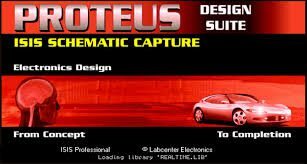 Proteus is kind of simulation software where you can create circuits, make model of your embedded system including microcontroller to see how it works, measure circuit parameters, change sensor values and much more. It helps you to create PCB (printed circuit board) design for your embedded system. Microcontroller simulation is an important feature of this software where you can load a hex file to your microcontroller in the design, connect all other components to it and see how it works. This software runs only on Windows operating system. 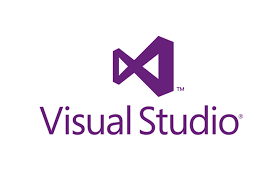 Visual Studio is also an integrated development environment provided by Microsoft. It is used for developing computer programs for Microsoft Windows. It can support different programming languages and basically consists of a code editor and a debugger. With this software you can build different mobile apps, window apps, extensions, games etc. The choice of language is yours. Now I am moving to the next tool which is EasyEDA. EasyEDA is an online tool that you can use to create schematics, PCB designs, and simulations. Since it is an online tool that runs on web, there is no need for you to download and install it in your personal computer. Instead you can run it directly. Also there is no need of updating your software or to remove bugs, as it is online tool and keeps updating itself. New features are added automatically. Another advantage is that it runs on all types of OS (windows, linux etc.) as EasyEDA works on your web browser. 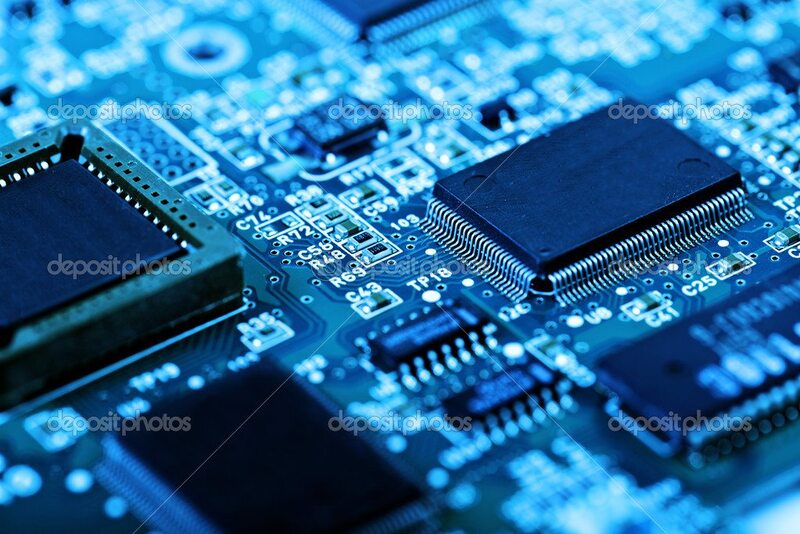 The last one on my list of embedded software tools is Altium which is also PCB designing software. PCB designing is very important part of developing an embedded system, so it is good to know all the available resources for PCB design. So these are the 10 embedded software tools that should be known by an embedded software developer. I hope you have enjoyed these Embedded Systems Software Development Tools. I have given the introduction and basics of each of them.